The rise of internet fraud commonly known as 419 is one phenomenon Nigeria has come to be associated it. Before internet fraud became a global issue, Nwude had committed one of the biggest scams in the world. Specifically, his fraud was the third largest banking scam in the world after the Nick Leeson's trading losses at Barings Bank, and the looting of the Iraqi Central Bank by Qusay Hussein. 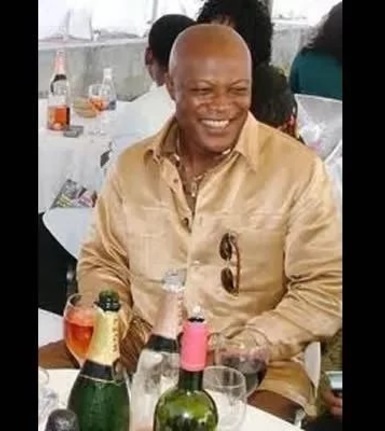 Nwude was a former director of Union Bank of Nigeria and this position made him privy to some links, information and documents that other persons would not be aware of. He impersonated the then governor of the Central Bank of Nigeria, Paul Ogwuma, and connected with Sakaguchi informing him of a mouth-watering deal of Nigeria’s plan to build an airport in Abuja. Nwude, pretending to be the Central Bank of Nigeria governor, told Sakaguchi that he stood of chance of pocketing $10 million commission when the deal passed through. Sakaguchi paid $191 million in cash and the remainder in the form of outstanding interest. Nwude’s accomplices were Emmanuel Ofolue, Nzeribe Okoli, and Obum Osakwe, along with the husband and wife duo, Christian Ikechukwu Anajemba and Amaka Anajemba, with Christian later being assassinated. The criminal gang was able to convince the director of the Brazilian bank to part with the money. How did Sakaguchi find out he was a victim of one of the largest scam in the world? In 1997, the Spanish Banco Santander wanted to take over the Banco Noroeste and a joint board meeting was held in December of that year. Officials of the Spanish bank noted that half of the Brazilian bank’s capital was at Cayman Islands unmonitored. This raised questions as this was two-fifths of Noroeste's total value. Investigation began and was carried out in Brazil, Britain, Nigeria, Switzerland, and the United States. Although the sale of the Bank still went on as the owners of the bank paid $242 million bill, the nak still collapsed in 2001. In 2002, the then president, Olusegun Obasanjo saw to the establishment of an anti-graft agency, the Economic and Financial Crimes Commission (EFCC). 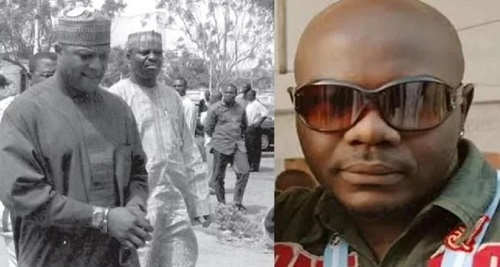 Nwude’s fraud case one of the first to be investigated and in 2004, all members of the gang were arraigned before an Abuja High Court on 86 counts of "fraudulently seeking advance fees" and 15 counts of bribery related to the case . Although they pleaded not guilty, they were warned not to attempt to bribe court officials as it was suspected that money was going round. Following Sakaguchi's witness, Nwude finally pleaded guilty and was sentenced to five concurrent sentences of five years and was also asked to pay $10 million fine to the federal government. While Nwude’s criminal exploit was not the first in the country, it signified the rise in international financial crime and popularise the advanced fee fraud syndrome with Nigeria's name associated with it.